The sky view from the upstairs landing at Charleston Sky and its recent "look and book" event. The pubic recently received the grand tour from the sky view to the turf of Charleston Sky, the newest event venue in Delta County. The establishment hosted a “look and book” event to nearly 25 vendors ranging from bakers and caterers to florists and local accommodations and more. The event allowed vendors and venue owners and staff to exchange information and network. The venue recently completed outdoor landscaping from field turf by the pond near the outdoor bar created from an old farm silo to wedding pews and signature windmill. The venue is located at 4274 FM 895, Cooper, TX 75432. 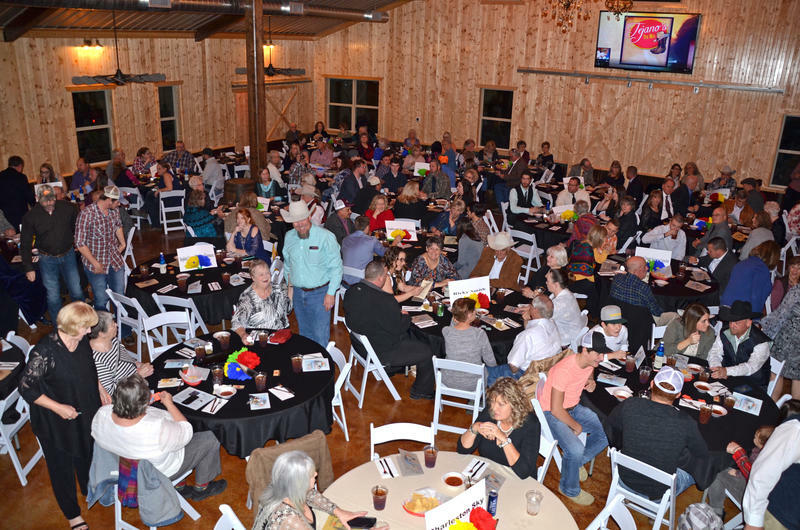 It was an evening of “Winter Fiesta” and that’s exactly what guests of the 2018 Delta County Chamber of Commerce Annual Banquet did at the new venue, Charleston Sky. The Chamber Board of Directors of Cindy Roller, George Stapp, Cooper Mayor Darren Braddy, Brenda Stewart, Jalan Mayes, Richelle Johnson, Devone and Keith Morris, and Kenneth Cottongame gave a warm welcome to the guests and honorees Saturday evening.